"Lilo" is the latest in a long line of Disney's live-action remakes, including "Cinderella," "Beauty and the Beast," "The Jungle Book," and "Pete's Dragon." LOS ANGELES — Disney has launched development on a remake of its animated comedy "Lilo & Stitch" as a live-action/CG hybrid movie. Dan Lin and Jonathan Eirich of Rideback are producing the remake with Mike Van Waes hired to write the script. Rideback's Ryan Halprin is co-producing. Lin and Eirich are producing Disney's live-action "Aladdin," due out in May with Will Smith starring. Disney has not indicated whether "Lilo & Stitch" will be a standard theatrical release or for its yet-to-be-titled streaming service that is set to launch in 2019. 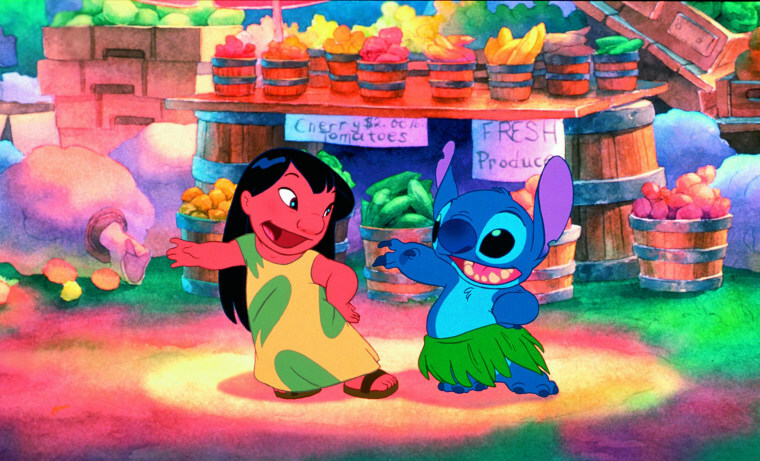 The original "Lilo" was written and directed by Dean DeBlois and Chris Sanders and followed a Hawaiian girl named Lilo and the bond she formed with a destructive blue alien named Stitch. It grossed a respectable $273 million at the worldwide box office. Disney is in production on a live-action remake of its 1955 animated movie "Lady and the Tramp," directed by Charlie Bean from a screenplay by Andrew Bujalski. It is set to debut on the upcoming Disney streaming service. "Lilo" is the latest in a long line of Disney's live-action remakes of its original animated movies, including "Cinderella," "Beauty and the Beast," "The Jungle Book," and "Pete's Dragon." Along with "Aladdin," upcoming remakes include "Dumbo" and "The Lion King." Lin's producing credits include "It," the "Lego" franchise, and the "Sherlock Holmes" series. Van Waes wrote "The Crooked Man" and "Not in Kansas" for New Line. Van Waes is repped by CAA and Grandview. The news was first reported by the Hollywood Reporter.